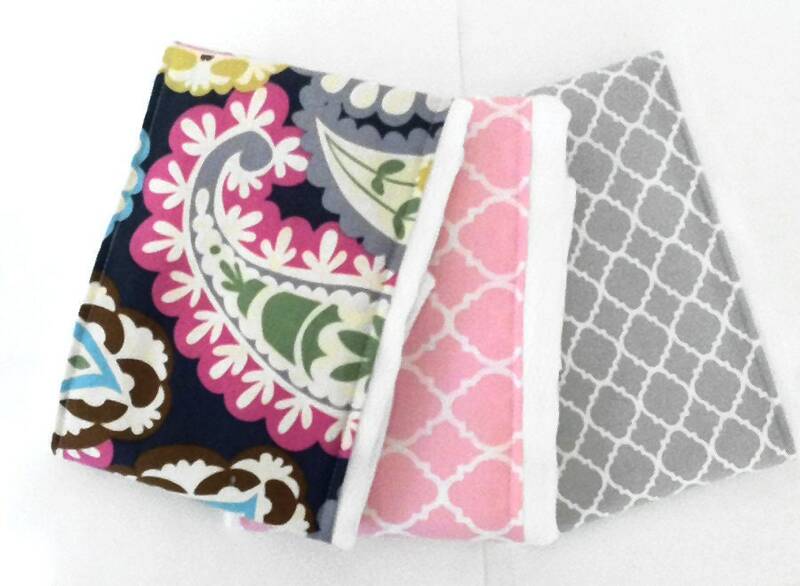 A beautiful set of three burp cloths with fabric center panels in stylish colors and patterns. 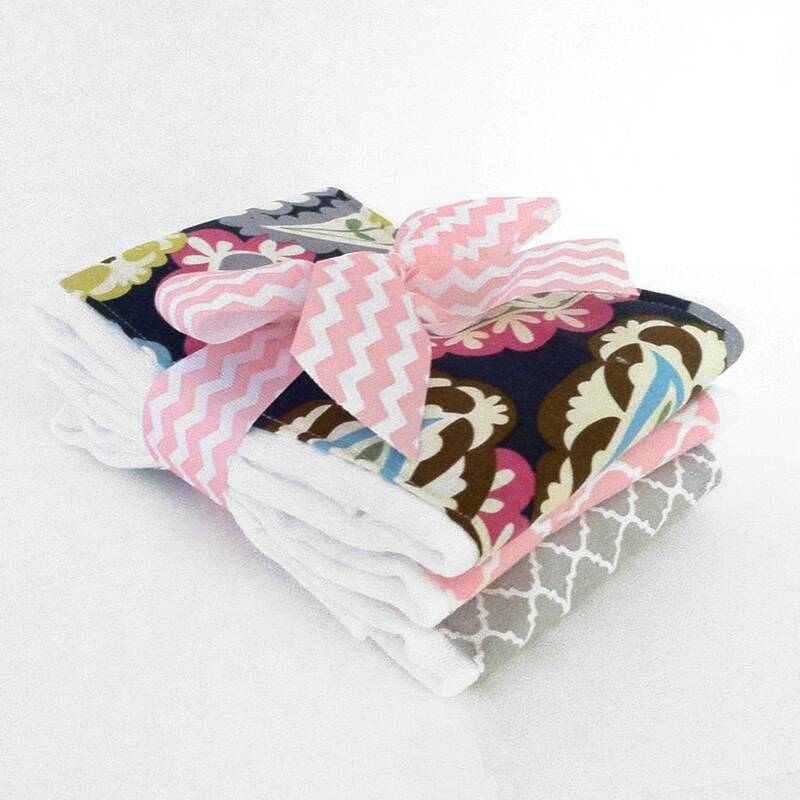 This burp cloth set features a bright paisley boho print and two coordination pink and grey lattice designs. Makes a great baby shower gift! AWESOME SELLER! THESE ARE ADORABLE! PERFECT GIFT FOR NEWBORN! FAST SHIPPER AND SUPER GREAT PRICE TOO! THANK YOU SO MUCH!